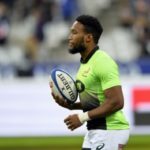 Lukhanyo Am will be available for the Springboks’ end-of-year tour despite fracturing his forearm in the win over the All Blacks in Wellington. 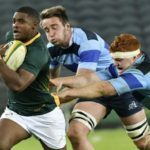 CRAIG LEWIS reports. 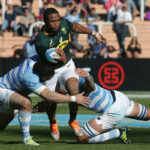 Changes to the backline would boost the Springboks in the short and long term, writes JON CARDINELLI in Cardiff. 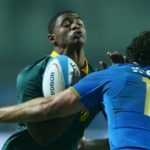 Four uncapped players have been included in the 34-man Springbok squad for their end-of-year tour.